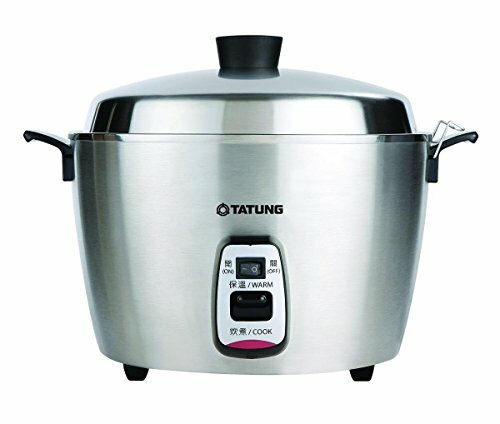 If you are looking for the best stainless steel rice cooker then be sure to check out the ones below, which all rate highly with consumers. Rice is not only economical, it is very versatile and makes it much easier to eat on a budget. Even though you can cook rice on top of the stove, a good stainless steel rice cooker will make a perfect batch of rice every time. And because these are electric rice cookers, you can use your stove top for other things. Rice cookers are also very versatile. Not only do they make delicious, fluffy rice, but they can be used for other one dish meals as well. 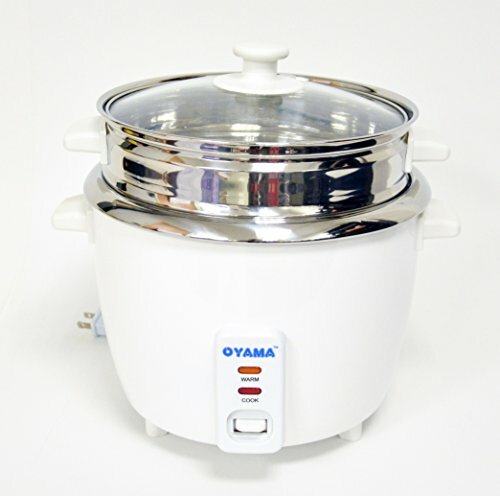 Below are some of the most popular stainless steel rice cookers according to consumers. Be sure to read the descriptions carefully as some refer to having a stainless steel interior while others have a stainless steel exterior. The Aroma Housewares rice cooker is a favorite with consumers due its many features. It allows you to cook up to 8 cups of rice and offers easy to use digital controls to cook both white and brown rice. There is also the steam function, a delay feature and a keep warm feature. 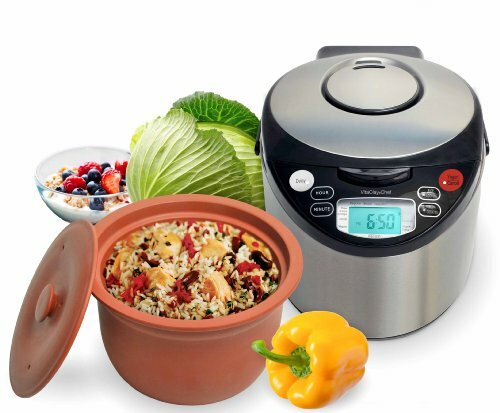 The Aroma Housewares rice cooker also comes with plenty of accessories including a measuring cup, serving spatula, steamer tray and even coupons for popular rice brands. The steamer tray allows you to cook healthy meals such as fish and vegetables and you can even cook other meals in it as well such as pasta. 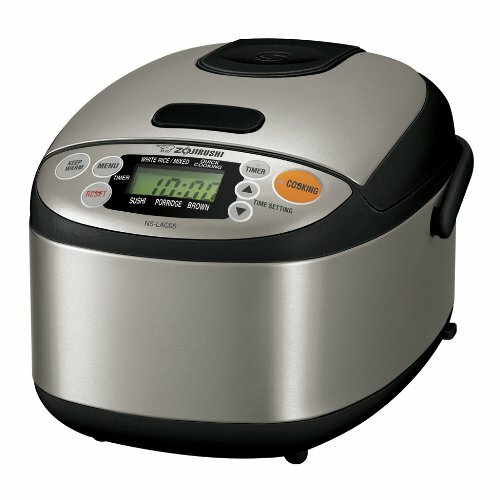 This rice cooker offers an attractive stainless steel exterior. The interior is a non stick aluminum with a plastic steamer tray that is BPA free. If you are looking for a rice cooker stainless steel interior then the Aroma Simply Stainless 6 cup rice cooker (3 cups uncooked) is a great choice. It prepares up to 6 cups of cooked white rice or 4 cups of brown rice with a simple one touch operation. The cooking pot is made of 100% surgical-grade 304 stainless steel and comes with a spatula for serving as well as a measuring cup. 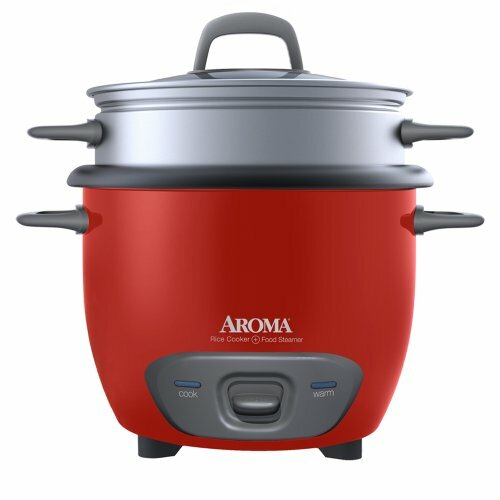 Not only does the Aroma Simple Stainless rice cooker prepare restaurant quality rice, you can use it for soups and stews, chili recipes, oatmeal and more. Larger sizes are also available. The Instant Pot 7-in-1 Multi-Functional Pressure Cooker is actually several appliances in one. 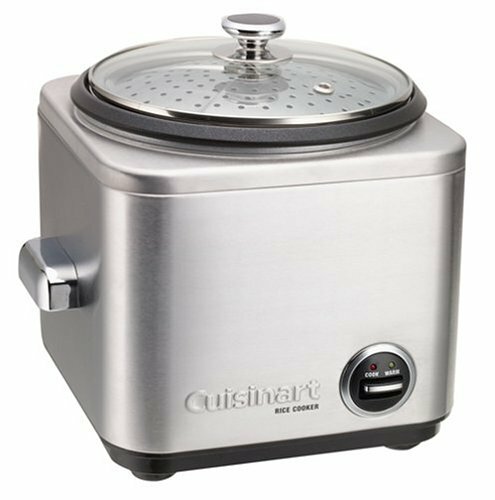 This multi-functional cooker is a pressure cooker, a rice cooker, a slow cooker, a steamer, allows you to saute and brown, and even makes yogurt. The pot and steam rack are stainless steel (the cooking pot holds 6 quarts) and it comes with recipes as well. The Instant Pot also features controlled programming for chili, soups and stews as well as rice, poultry and more. Whether you are looking for a good, basic rice cooker or you like the idea of a small appliance that offers many features, there are plenty to choose from, here are a few more rice cookers that come that have high customer reviews. Like many appliances, stainless steel rice cookers come in all different price ranges to fit all kinds of budgets. If you are just starting out, you might want to try a more affordable model, and if you find yourself using it often you can always upgrade later. Either way, a rice maker is a wonderful kitchen appliance for perfect rice. And the fact that many of the rice makers shown offer multi functions it will make cooking dinner so much easier. I own the Aroma Simply Stainless 6 cup rice cooker and it has worked like a champ. We love our rice cooker. It gets used at least once a week at our house. Perfect rice every single time! I have never tried to cook anything in it besides rice. I like the unglazed clay-pot model! I like that one as well Barry.